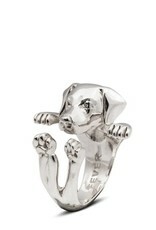 A Labrador Retriever shows its face on this hug ring from Dog Fever. 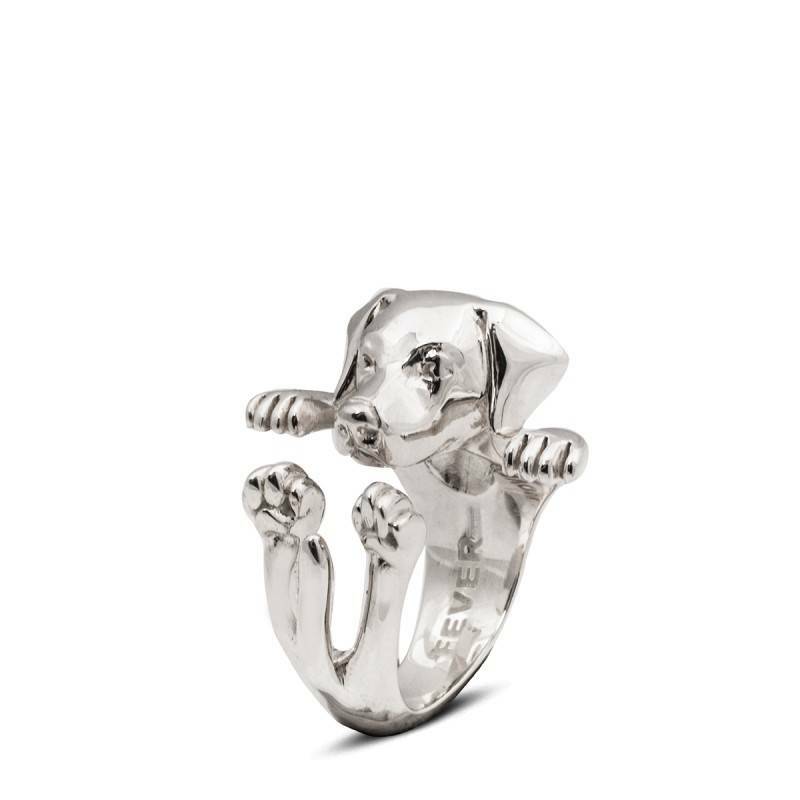 Crafted in sterling silver, this ring features a full-body yellow lab with four paws up that will curl around your finger and tug at your heartstrings! NOTE: Enamel work will vary slightly by artist.